Life in Bahrain: A Photo Essay. Ahlan wa sahlan. That was one of the first phrases I learnt in Arabic, almost five years ago. I’ve lost touch with whatever little of this beautiful language I learnt, but that phrase has stuck with me. It is an old Arabic phrase that means, we welcome you. I landed in Bahrain without many expectations; a small city-state that has been in the news for all the wrong reasons, one that not many people travel to outside of business needs. At the airport, I could hear as much Hindi as Arabic, and I didn’t realize then that with the Bahraini stamp on my passport, I was being welcomed as much into the hearts, homes, and lives of the Bahraini people, as I was into the borders of (evidently) the most liberal country in the Gulf region. Stepping into the future, while holding onto the island’s traditions. Coffee and food are national past times; in these quirky little coffee shops, coffee is served in the Bahraini tradition – only a couple of sips at a time, till you shake your cup to say ‘no more’. Bahrain’s rich history dates back to before 2500 BC. The ruins of the Bahrain Fort are as much a historical site as a place for evening walkers to stroll by the sea. Graffiti and greenery; not too much of either in Bahrain, but when you do spot it, it stands out. And graffiti with a sense of humor! This relaxed vibe throughout the island and the openness of the people is what made me love the island almost immediately. Evening walkers soak in the seaside serenity of Bahrain; most beaches on the island are now privately owned, so this is about the closest you can get to the sea. It’s true, Bahraini women drive really big cars! Someone partied hard last night! Artistic graffiti at Adliya, one of Bahrain’s most artistic neighborhoods. A cosy little cafe in Adliya, owned by a Bahraini lady who also runs an art gallery next door. Although these pictures show women wearing both the abaya (gown) and the hijab (head scarf), there are plenty of Bahraini women who choose to wear only one of the two, or neither. More on that, and other stories coming up soon. Any first impressions of life and culture in Bahrain? Join me on Facebook and Twitter for live updates as I discover Bahrain. My trip to Bahrain is sponsored by Discover Bahrain and the Good Word Society, but opinions, as always, are my own. Wonderful pictures. Loved how you explained the aura of Bahrain. Referring to the entire country, it’s quite small really! Bahrain seems wonderful and that quirky coffee house so inviting 🙂 We have been meaning to explore more of the gulf countries, but somehow never got down to it yet. I had lived in Bahrain for two years and even visit there every year. But i had never seen it in this perspective. Interesting…… Hope you enjoyed your stay there…. Sounds like the trip of a lifetime. I am supremely jealous – both of the traveling and of the photo essay! It is! I really think it has potential to be on the middle east tourism circuit, along with Jordan et al. Peaceful and beautiful, and the people are really amazing! Thank you for bringing this country to us Shivya! I love how you focus on the people, and the little note at the end about wearing the hijaab. We tend to make generalisations about countries based on what we hear in popular media. Re: photo number 4 – It is a pity that the censorship of graffiti causes more graffiti. A rather pathetic attempt to surpress freedom of speech. Can you translate it? It is probably political. I have always viewed these oil-rich nations with disdain – Bahrain, Abu Dabi, Qatar, Dubai, etc. There is little culture there and their very existence is born from commerce of produce beneath the sand and sea. Also these nations have a poor track record of exploiting cheap/slave labour from Asia. Also surpression of female culture. It would be interesting if you could look beyond the manufactured petro-dollar gloss and reported on the reality. But obviously this would not sit well with your sponsors. Do not sell out – be you. Mark, I don’t think it’s fair to lump “these oil-rich nations” together. I don’t know if you’ve ever been to the Gulf, but after spending a week in Bahrain, I look at your disdain with disdain. Even a country as small as Bahrain has a rich history and such an interesting culture. I’ve felt nothing but welcome here, something you don’t always feel in the west. Of course, I’ve read as much as you about the surpression of females in the gulf, and while I can’t comment on other countries since I haven’t been there, I can tell you that Bahrain is way ahead than what I’ve read. I’ve met so many women who run their own businesses or work in corporate jobs, and I’ve seen women who choose not to wear the abaya (black gown) or the hijaab (head scarf). Sure, they still have a long way to go compared to the west, but the process of change takes time. My observations have nothing to do with my sponsors. I will only continue to share personal stories and experiences. It’ll be a pity if you judge the country or my perception of it without ever visiting it yourself. Since you have not stated where you come from, I presume it would be akin to that of a well-frog’s. 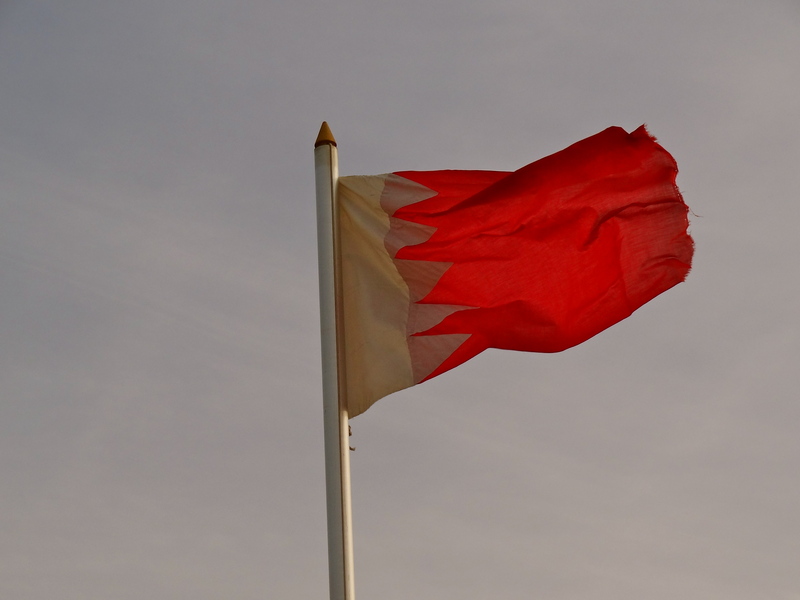 Because it’s written all over your comment… Bahrain is a very young nation but its ambition is not a small one… and, as history has always shown us, a change takes its own time and every change, be it societal, economic or mental, comes with a price. Industrial revolution in the eighteenth century came with a price, so did the Arab Spring… the moot point is how you interpret it. Asians form the spine of the labour force in the Middle East, that’s a fact… and this ‘fact’ is responsible for millions of dollars being repatriated to their respective countries… You can’t simply sit on your @$$ and ignore it. I suggest you stop being an arm-chair expert and take a trip down to this part of the world and see it with your own eyes. I know nothing is perfect in this world, but it’s still worth giving it a try. It’s really interesting to got to know that what we read isn’t actual truth, but the fact is much more interesting & welcoming. Nice pics ! Will love to read ur detailed stories abt this little known nation ! Sure does make me nostalgic. Hey started following u on twitter recently. As a travel enthusiast myself, really enjoyed reading about ur trip to Bahrain. I’m completely fascinated by the Middle East and would love to do a Jordan, Turkey, Bahrain, Morocco sometime soon. I visited the beautiful country of Oman last December and completely loved it. Friendly people and lots of interesting sights n sounds. Lucky you. It seemed like a wonderfully friendly place to live! wonderful! Bahrain is a beautiful city. now I will definitely visit to Bahrain. I like to see all islands in Bahrain. thanks for sharing. Previous PostOff I Go, Guess Where! Next PostContest Results: This Lucky Winner is Going to Mauritius!